Whether you already own Lego Dimensions or plan to buy it later this month with the new PS4 exclusive Supergirl figure, you’re either way going to get your Batman fix with the starter packs inclusion of the Batman minifig and Batmobile vehicle. 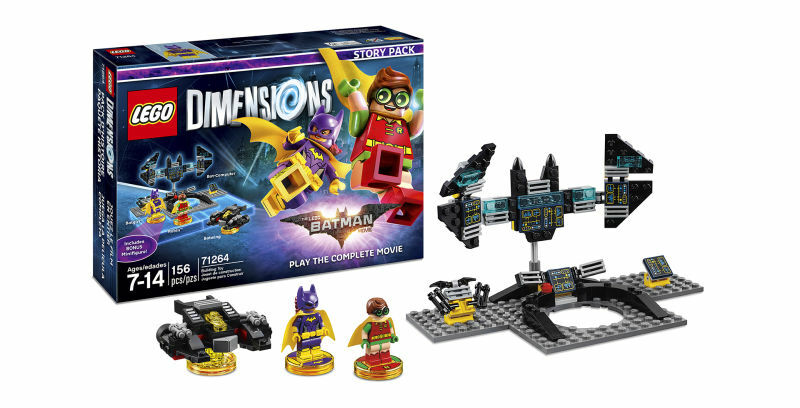 That’s not stopping developer TT Games from adding more Batman content as part of the forthcoming year two sets for the toys-to-life game however, in the form of a new Story Pack and a Target timed-exclusive Fun Pack, both based on next year’s The Lego Batman Movie. Story Packs are a new addition to Lego Dimensions and come at a higher price point than the Level Packs. This is because they tell a complete, multi-level story of the brand that they’re based on as opposed to the abridged, single-level format of the Level Packs, and also come with a complete new build for the portal. The Lego Batman Movie Story Pack due out February 10th of next year, which actually doesn’t come with a new Batman, will include Robin, Batgirl, a Batwing vehicle and a Batcomptuer build for the base. 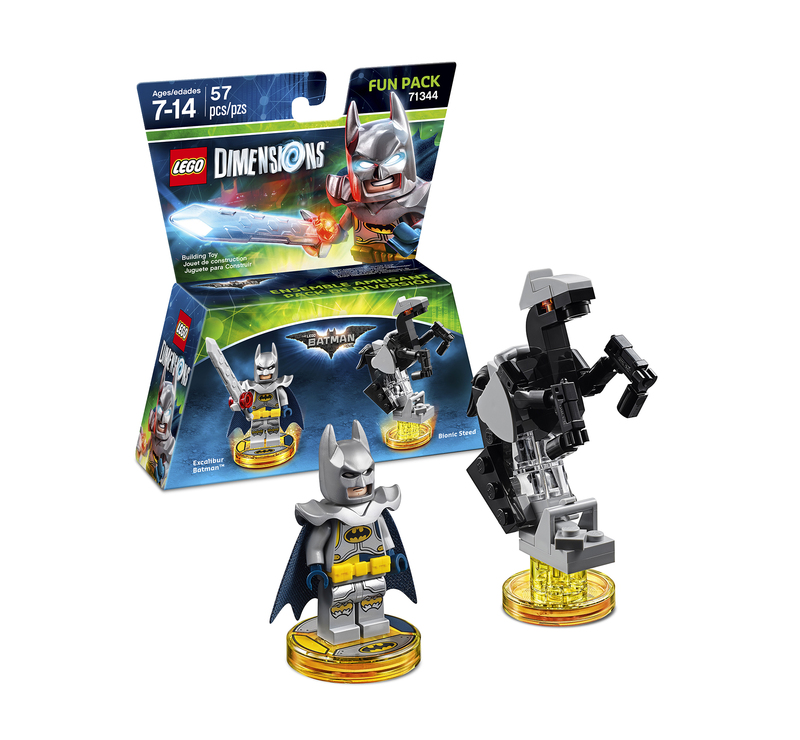 If you want to get a new Batman minifig to go along with the new Story Pack, you can get the Excalibur Batman Fun Pack, featuring an armored Batman complete with a sword and a Bionic Steed as the vehicle piece. Those who reside in Canada, like myself, will not be able to initially walk into a store and buy this new Batman though, as it is a timed exclusive to Target stores. How long this exclusivity lasts remains to be seen, but I’ll report on it as soon as more information becomes available.